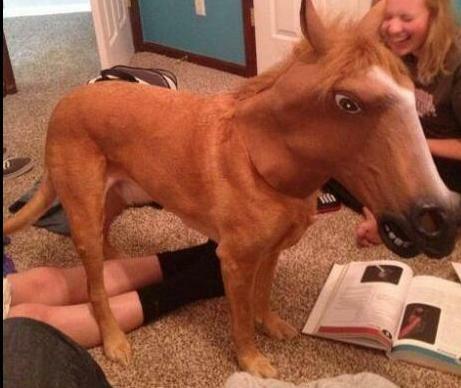 This dog is almost exactly the right color for that strange rubber horse mask! I can only imagine that the next photo (if there were one) would be of the dog shaking or pawing the mask off. I think it is crazy the dog left the mask on long enough for a picture! What do you think, funny or weird?